As a species, we have made magnificent strides in robotic space exploration in the past decade. From exploring Pluto close-up for the first time to discovering our solar system is rife with underground liquid oceans, we now understand our little neighborhood of planets and moons better than ever before. It’s time to start talking about how we are going to explore the stars. The Breakthrough Initiatives, created by Russian billionaire physicist Yuri Milner, is one of the most forward-thinking space exploration groups in the world. Among Breakthrough’s many ambitious projects is Breakthrough Starshot. The goal is to send hundreds of gram-sized spacecraft to the nearest star—Proxima Centauri, some 4.2 light-years away—and have them arrive within our lifetimes. The craft would then attempt to communicate with Earth and transmit photos of Proxima Centauri and its orbiting planet, Proxima b, back to us. The Breakthrough Initiatives recently held an international conference called Breakthrough Discuss at Stanford University. Hundreds of researchers and engineers met to flesh out Breakthrough’s many ambitious space exploration goals. Starshot attracted perhaps the most interest due to its thrilling prospects and many technical challenges to overcome. The verdict? “It looks feasible,” according to Harvard science professor Avi Loeb who chairs the advisory committee for Breakthrough Starshot. Even though the target star system is closer to us than any other, it’s still mind-bogglingly far away: 25 trillion miles. Voyager 1, the spacecraft that has traveled farthest from Earth, has been flying at 38,000 mph for forty years, and it’s only a tiny fraction closer to Proxima Centauri than it was when it launched. At Voyager’s rate, it would take tens of thousands of years for the spacecraft to get anywhere close to Proxima Centauri, even if it were headed in the right direction. Conventional rocket launches and gravity assist maneuvers just won’t take us anywhere near the stars. We need a new plan. Spaceflight generally evokes visions of giant rockets with fiery tails erupting off the pad at Cape Canaveral and flying out beyond the atmosphere. To maneuver to a destination after launch, spacecraft often use a liquid rocket fuel called hydrazine. This potent propellant, however, is much too heavy to launch in large quantities. It would be incredibly inefficient just to launch enough fuel to Mars for a return flight, let alone enough for an interstellar voyage. Fortunately, there’s a much more efficient way to zip around the stars, and it uses nothing more than energy from beams of electromagnetic radiation. Light sails are reflective surfaces resembling tin foil that use photons from a source of light, such as a laser beam or the sun, to propel a spacecraft. When the photons of light bounce off the reflective surface, the energy is transferred to a small push, and the craft accelerates in the near-vacuum of space. The technology isn’t just theoretical. In 2010, the Japanese Aerospace Exploration Agency (JAXA) launched a craft called IKAROS—the first successful interplanetary probe to use light sailing as a means of propulsion. The Planetary Society also launched a light sail back in June 2015, and the institution is working on a new sail, the LightSail 2, slated for launch later this year. Breakthrough Starshot wants to take light sail technology even farther out to space—all the way to Proxima Centauri. Last year, the organization announced a plan to use light sailing and laser propulsion to accelerate dozens or even hundreds of nano-spacecraft fast enough to reach Proxima Centauri in a matter of decades. We’re talking about relativistic speeds, roughly 20 percent of the speed of light, or somewhere around 100 million mph. Only at such a ludicrous speed could a probe reach Proxima Centauri in a reasonable two or three decades. Then it will take another four years or so for the radio signals to get back to Earth, traveling at the full-bore speed of light. The probes themselves would be little more than small computer chips with a smartphone-like camera, a radio transmitter, and a few other basic electronics. Cornell University is currently working on a project called KickSat to develop just this type of tiny spacecraft, which the KickSat team calls “chipsats.” These chipsats are to be deployed from a CubeSat after launch, and in the future, little spacecraft with light sails could be released in orbit the same way. Yuri Milner has met with the KickSat team to discuss their chipsats, also known as Sprites, and the possibility of adapting them for a trip to Proxima Centauri. To send light sail probes on a journey of this scale, the energy from the sun isn’t going to cut it. The spacecraft’s sails would need to be propelled by the light of a powerful, concentrated laser beam. This is one of the most challenging parts of sending nanoprobes on a journey to the stars: building enough laser infrastructure on Earth to propel the small craft. Dozens of large lasers constructed on the globe would need to work together to form an array and coalesce into one powerful beam of light. According to Breakthrough, an enormous, global network of lasers would need to continuously hit the light sails for only about two minutes to get the little probes up to 20 percent the speed of light. Convincing the space agencies of the world to contribute to a global laser system comes with its own set of logistical and engineering challenges, but it is certainly possible with largescale cooperation. The Starshot team’s problems don’t end there, though. There’s also the small problem of making sure everything doesn’t get shredded to bits as it flies through space at a million miles per hour. While the laser-propulsion plan has remained unchanged since the initial announcement, the Breakthrough Starshot team is just starting to dig deep into the engineering challenges. The Breakthrough Discuss conference at Stanford was the first large-scale meeting to develop a plan for Starshot, and those championing the mission have no short supply of problems to overcome. Zach Manchester, an aerospace engineer and creator of the KickSat project, is working with the Starshot team to develop a concept for the solar sail, the main mechanism for getting to Proxima Centauri. Initially he thought a traditional, flat, kite-like sail—similar to the one used by IKAROS—would be the best way to go. But after a year of study, Manchester suggested the Starshot solar sail would probably need to be spherical instead of flat, making it look something like a small disco ball once deployed. Building a spherical sail also introduces the possibility of putting the probe itself inside the sail, rather than having it attached to the middle or towed along behind. The thin sail would need to reflect about 99.999 percent of the powerful laser light or it would burn up almost instantly. The rapid acceleration to one-fifth the speed of light in about two minutes would enact around 60,000 g’s on the sail. The material will not only need to be highly reflective, but also sturdy enough to stand up to the forces from 60,000 times the acceleration of Earth’s gravity. Developing the sail could prove harder than building enormous lasers all over the world. And then there’s the issue of communicating with a spacecraft that’s 25 trillion miles away. How Will We Know If It Worked? Currently, it takes about twenty minutes to receive 250 megabits of data from spacecraft orbiting Mars. Data from Voyager 1 takes more than a day and a half to phone home from 10 billion miles away. Even if the Starshot team gets a spacecraft to Proxima Centauri in a few decades, any photos of the enticing planet Proxima b will take over four years to reach Earth, and the more data we transmit, the longer it will take. As it stands today, Proxima b is the only planet we know of in the entire Alpha Centauri system, which includes the small red dwarf star Proxima Centauri and two larger stars, Alpha Centauri A and Alpha Centauri B. However, there is a good chance that other planets lurk in the system, and we simply have not spotted them because their orbits do not take them directly in front of their host stars from our perspective. A probe could potentially reveal undiscovered planets in the Alpha Centauri system. To get all that photographic data back—data that could very well lead to the discovery of new worlds around out closest neighbor stars—we will need to improve our ground-based receivers and radio telescopes. It is possible that a global array of radio dishes could distinguish the signals of the probes. China’s new Five-hundred-meter Aperture Spherical radio Telescope (FAST), the largest single-dish radio telescope in the world, is already being used by Milner’s Breakthrough Listen mission to search for signals from intelligent life. The enormous dish could be crucial for helping us detect a signal from a nanoprobe at Proxima Centauri. The Starshot initiative is ambitious and daring to say the least, but it’s not the first time humans have set out to test the limits of engineering. Fortunately, both Loeb and Manchester felt great after the two-day discussion. “I came out of it with a lot more hope and a mindset that everyone on board thinks this is doable. We haven’t found a deal breaker yet, basically. In doing these calculations nothing has come up yet that seems like it’s not possible,” says Manchester. The success of the Starshot project has huge implications not just for interstellar travel, but for the ease of exploring and studying our own solar system. If we can develop a system to launch small probes at relativistic speeds, a spacecraft that would normally take two years to get to Mars could get there in only two hours. 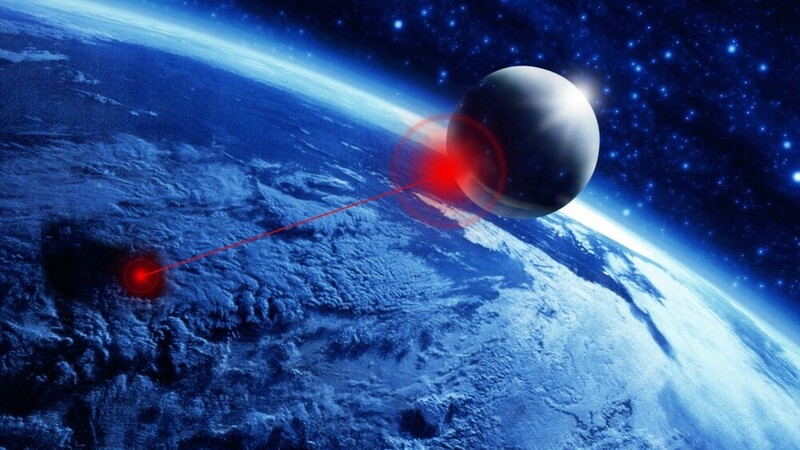 If Starshot technology is developed, and we wanted to photograph something in the outer solar system, we could simply launch a nanoprobe to arrive in days or weeks rather than years. The speed of planetary science studies would accelerate tremendously. While Starshot is still a nascent project, the hundreds of scientists and engineers who attended the conference were in good spirits about the possibilities. They all trust that together they can work out the engineering kinks required to make something of this magnitude work. Surely if the team from Starshot succeeds, whether it’s 30 years from now or 100, they will have single-handedly revolutionized the way we explore the cosmos. We are on the verge of not just interplanetary exploration, but interplanetary infrastructure and industry as well. If Breakthrough can pull off its Starshot, we will be well on our way to a new era of interstellar exploration. It’s time to start building some big ol’ lasers.